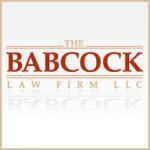 Offers legal services for personal injury and worker compensation cases. Serving all of Colorado and the Denver metro area from our Littleton law offices. Have you suffered an injury that’s really set you back? If you or a loved one has sustained an injury due to someone else’s negligence, it’s important to consider the long-term costs the injury can create for you and your family. Often times, these costs keep cropping up for years after the actual injury took place. If you’re ready to start discussing your individual case and situation today, personal injury lawyers at Denver’s Babcock Law Firm stand ready to carefully listen to your concerns and evaluate your case. Don’t delay in getting help any longer! Contact us today for a free case evaluation to begin the process of obtaining compensation for your injury. Fully representing injured workers in Colorado to help them obtain their rightful workers' compensation benefits is our solemn obligation at the Babcock Law Firm. Colorado workers' compensation attorney R. Mack Babcock and his dedicated, passionate support staff work tirelessly to ensure injured workers obtain the benefits they need to treat their workplace injuries and provide compensation for any lost wages.